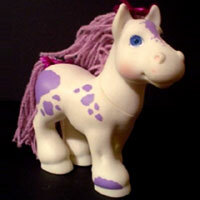 MLP Year 2 had four new sets of ponies, plus three new sets of plush ponies. 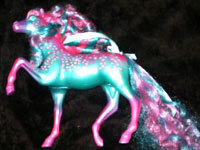 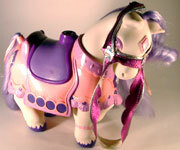 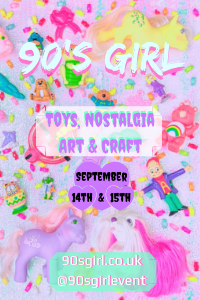 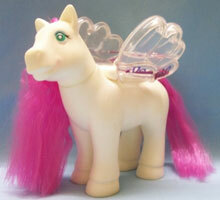 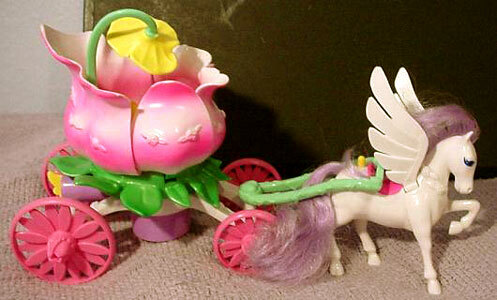 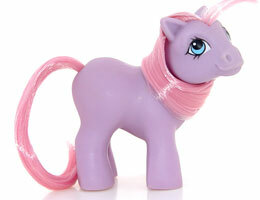 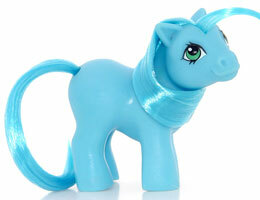 There was one new special offer pony and five new playsets produced. 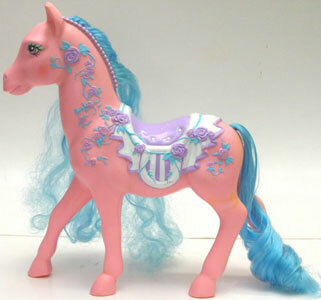 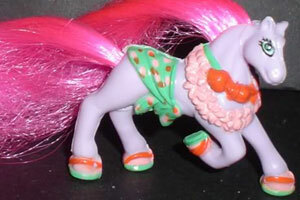 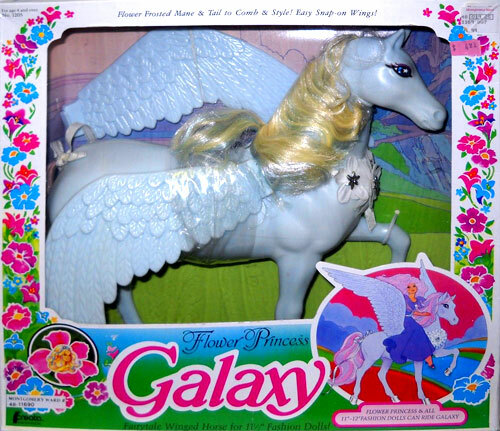 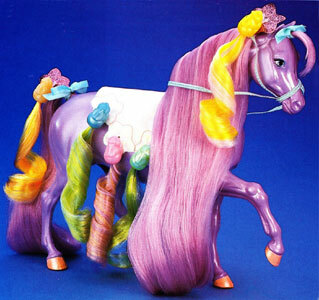 There were also many non US pony variations. 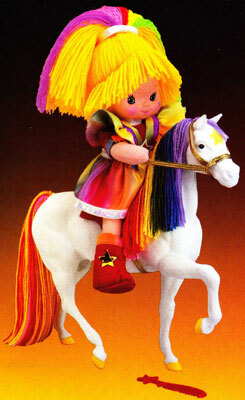 Images on this page thanks to Silver Tickle! 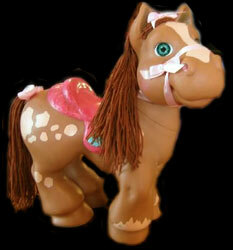 Ember was the first baby pony to be produced. 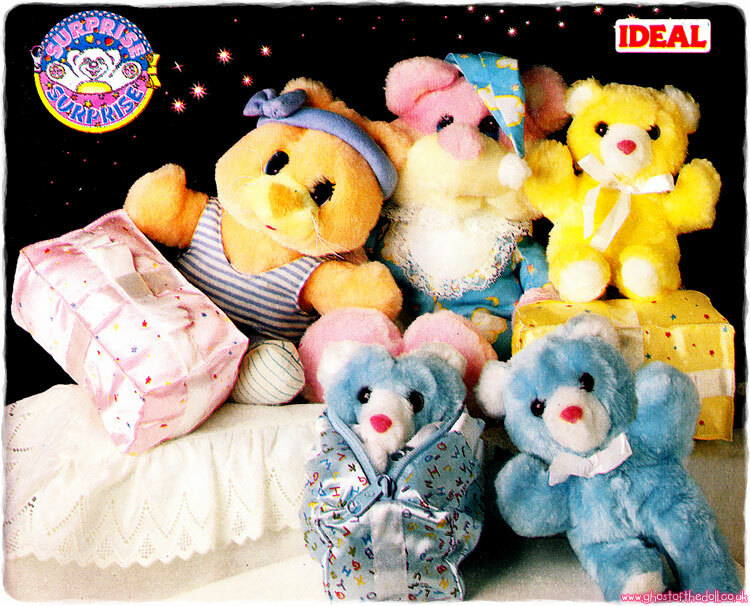 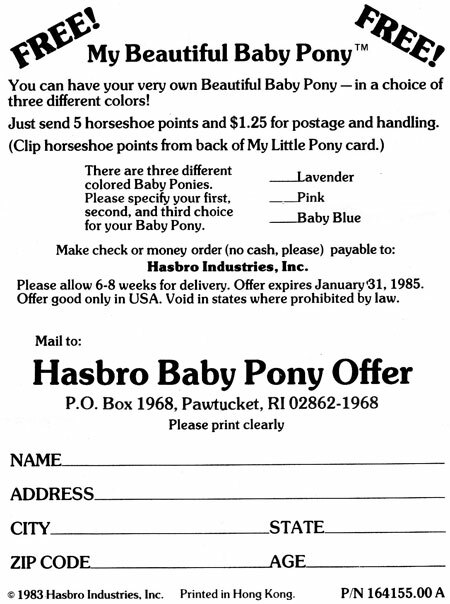 She had four different versions made in total, three in this offer and onother one in Year 3, which came with a story cassette called "Ember's Dream". 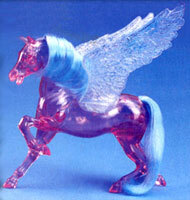 Ember was available in three colours, which could set in order of preference on the order form. 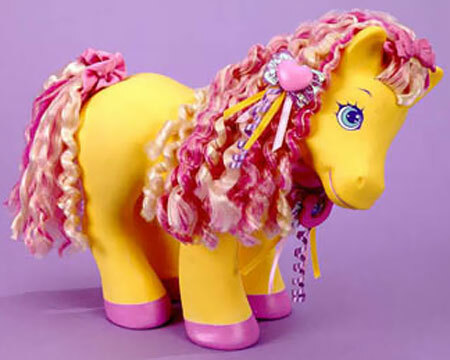 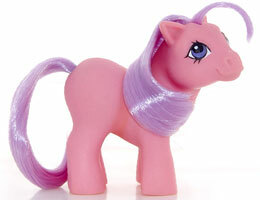 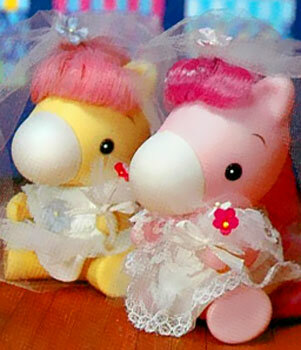 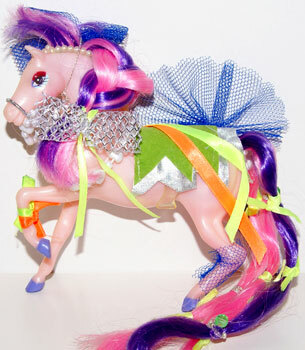 Each pony came with a ribbon and a round scented puffy sticker with their picture on it, but no brush or comb.